Online Career Counseling – A First Step To Your Bright Future! Online career counseling is the most convenient form of counseling that one can receive, within the comfort of the house. The best thing about online career counseling is that it is it offers personalized strategies that provide communication facilities between the coach and the students. They make use of technology for communication by e-mail/chat, tele-counseling and video-conferencing. This enables good flow of communication between the students and the professionals. 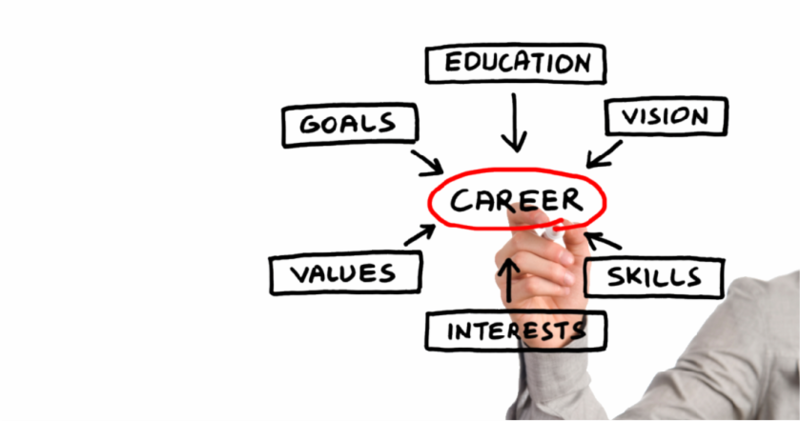 The career guidance professionals help students in building the career and pursue their career in their area of interest. Online career counseling is gaining popularity in the recent times and students all over the world reach out to these professionals for seeking help with regards to their career. Online counseling is an important step involved in establishing the career and seeking professional advice from the counselors. More and more communities are starting up online career coaching centers through which they offer counseling sessions to individual students who are interested in pursuing careers. Online career counseling is a boon for today’s generation, owing its major benefits to the modern technology. Online career counseling is the first step towards establishing a bright future and accomplishing set objectives. It enables students and individuals to choose a path and follow a specific direction. The best thing about career counseling is that one doesn’t have to go to the physical entities such as their offices or centers. Instead they can make use of the internet and get professional help from trained coaches who understand the needs of the students and help them choose a right career. These online counselors also offer guidance to individuals for job searching processes. They conduct psychometric tests which include Aptitude tests that help individuals in bagging the right jobs and have promising careers ahead. Previously, students only had limited career choices available. But today, with the advent of technology, there are a myriad of profitable career building options available to students. One of the most profound benefits of online career counseling is that it provides the access of reputed counselors to students and parents from across the world, with just the click of a button, irrespective of the area or location they live in. This has certainly made lives easier for students as well as parents to connect with credible career counselors from authentic sources. Today’s generation is highly tech-savvy and therefore, most youngsters including students prefer to use the online medium for anything and everything. Instead of having to go to places for taking career guidance advice, they prefer to use the internet for the same. Today, there are a large number of career counseling websites available that offer counseling services to students and help them in choosing the right path and select career choices of their interests. Career counseling websites basically help those students who are unable to contact them directly or meet them face to face. With the help of online applications such as Skype and other online communication means, they offer career counseling and guidance to a large number of anticipating students. Online career counseling offers personalized sessions to individuals wherein students can clarify their doubts and further enquire about their career prospects and choices in a completely confidential manner without any disruptions from third-parties. They offer advice on courses to be studied, admission criteria, soft-skills, studying abroad and so on. All these are provided to students by experienced career counselors at an individual level. It provides convenience to the candidates at the comfort of their homes, and is more flexible and time-efficient. After the completion of their tests, online transcripts are given to them in order to assist them in choosing the right career path. Furthermore, they can follow-up via e-mail with their respective counselors in order to clear their doubts or ask questions. Online career counseling in has reached to a whole new level. There are a substantial number of counselors who offer professional advice and guidance to individuals for shaping up their career. Many online career counseling services have come up in the recent times that are aimed at helping students and other professionals in taking their career in the right direction. Most career counselors offer services in areas such as the aptitude and psychometric testing, higher-education counseling and entrance examination coaching. Online Career counseling centers offer students with a one-on-one time session with a counselor. Finding a right counselor can be challenging as with the emergence of internet, more and more agencies are starting up career counseling as their major profession. But it is important to find the right counselor who can help you identify your skills and area of interests. Online career counseling is undoubtedly, a first step to your bright future. Make use of the Internet which serves as a great platform to build your career, nurture your passion and build your career out of it.